Welcome to HomeSalesSanDiego.com, the go-to online source of information and services for buying or selling real estate in San Diego. 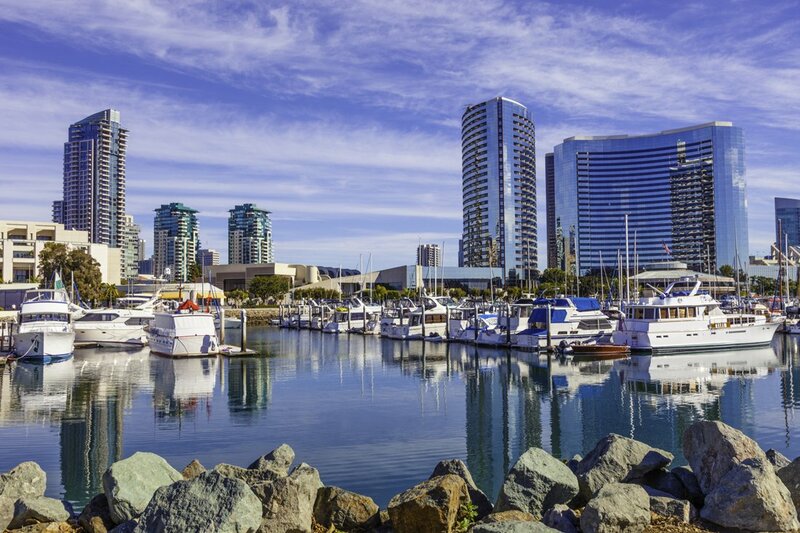 With over 100 years of combined local experience, we know the San Diego real estate market and our goal is to provide you with friendly, knowledgeable and professional representation with a focus on client satisfaction and your bottom line. Are you interested in buying or selling property in San Diego County? Let our team of talented local professional Realtors help you with your next move. Contact us today! Search, compare and select the San Diego County homes, condos, and land for sale that you might consider for your new home. Save your searches and favorite properties for later review, get email updates of new San Diego listings and price reductions, even schedule your property showings online. What's My Home Worth in San Diego? Obtain a complimentary automated broad range value report for your property in San Diego. This report draws on public records data as well as recent Real Estate sales in San Diego and will be emailed to you instantly. Working with an experienced local lender with give you strength in negotiations and confidence when submitting offers. Getting pre-approved is the first step in the home buying process. We have partnered with Home Point Financial to offer some of the lowest rates and provide the best service for your next purchase. Our commanding online presence offers unparalleled exposure, reaching millions of potential buyers worldwide. Our thousands of registered users search for homes in all San Diego communities, so we may already have the perfect buyer for your property! Our professional quality video production and high-resolution photography set us apart from the competition. Distressed properties represent the majority of sales this year. Looking for a bank owned bargain? We can help. Upside down or facing foreclosure? We have been negotiating with banks since the 90s and will guide you through this segment of the real estate market. We can help you with a deed in lieu or a walk away plan if a short sale isn’t your best or preferred option. Our team of expert short sale agents and negotiators have helped hundreds of San Diego homeowners avoid foreclosure. If short sale isn't the option, we can discuss other options that might work to help you out of a hardship. In some situations you can actually earn a rebate from your bank upon a successful close of the short sale. Contact us today for a no obligation consultation to see what options are best for you. We offer professional relocation services for companies and individuals relocating into or out of San Diego County. How can we assist you? Searching for VA approved condos? Search all the VA and FHA Condos for Sale in San Diego right here with one easy search. Take advantage of 0% down and low interest rates based on eligibility. Contact us today and we will put you in touch with several top VA lenders in San Diego and help answer any questions you might have. Searching for FHA Approved Condos? Search all the VA and FHA Condos for Sale right here! Take advantage of down payments as low at 3.5% and low-interest rates based on eligibility. Contact us today and we will connect you with several top FHA lenders in San Diego and help answer all and any of your questions. We are always out in the field making videos for our clients. Below are some of the newest listings we have released to the market. We list and sell properties all over San Diego County using experienced local agents who know how to market properties. Our talented team of expert videographers and pilots are on call seven days a week to help with any project in 4K HD around the San Diego County. Check out some of our work below - we always welcome your comments and feedback. HomeSalesSanDiego.com has obtained an exemption from the FAA to use drones for commercial purposes. We are excited to share with you some of most recent videos we have made highlighting some of San Diego's most sought after communities like you've never seen before. If you have any suggestions or would like us to highlight your neighborhood, please request your neighborhood today!